Department of Pharmacology 1, Hygia Institute of Pharmaceutical Education and Research, Ghaila Road, Lucknow-226002, Uttar Pradesh, India. Department of Pharmacology 2, College of Medicine, Dar Al Uloom University, P.O. Box- 3535, Al Mizan St, Al Falah, Riyadh - 13314, Kingdom of Saudi Arabia. Department of Pharmaceutical Chemistry 3, College of Pharmacy, Prince Sattam Bin Abdulaziz University, P.O. Box- 173, Al-Kharj 11942, Kingdom of Saudi Arabia. Department of Pharmaceutical Chemistry 4, Faculty of Pharmacy , Integral University, Kursi Road, Lucknow - 226026, Uttar Pradesh, India. ABSTRACT: Aim: The present study provides a scientific evaluation for the wound healing activity of methanolic extract of Ziziphus xylopyrus (Retz) Willd leaves (MEZX). 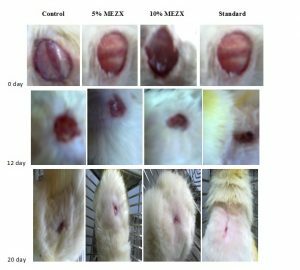 Methods: Incision and excision wound models were used to evaluate the wound healing activity of MEZX on Wistar rats. In each model, animals were divided into four groups of 6 animals each. In both model, Group I was assigned as control (ointment base). Group II and III were treated with 5%w/w and 10% w/w MEZX topical ointment respectively. Group IV was treated with standard nitrofurazone ointment (0.2% w/w). The parameters recorded were percentage of wound contraction, epithelialisation period and tensile strength. Results: It was noted that the effect produced by MEZX ointment showed significant (P < 0.001) healing in all wound models when compared with the control group. All parameters such as wound contraction, epithelialisation period and tensile strength showed significant (P < 0.001) changes when compared with the control. MEZX stimulates wound contraction, decreases epithelialisation period and increases tensile strength. Conclusion: This study suggests that MEZX possesses wound healing activity against Incision and excision wound. Wound healing, Incision wound model, Excision wound model, Ziziphus xylopyrus (Retz) Willd leaves. INTRODUCTION: Wounds are inevitable events of life, which arise due to chemical or physical injury or microbial infections 1. Healing is a multidimensional and complex process initiated in response to injury that re-establishes the integrity and function of injured tissues. Healing process can be largely categorized into three phases; inflammatory phase consisting the inflammation and establishment of homeostasis; proliferative phase (consisting of granulation, contraction and epithelialisation) and lastly the remodelling phase, which eventually determines the appearance and strength of the healed area 2, 3. Inappropriate care of the wound may interrupt its healing, causing the area to become infected and consequently resulting in protracted wounds. Several drugs obtained from herbal sources are known to increase the healing of diverse types of wounds 1. Herbal medicine has become an essential part of standard healthcare, based on a combination of time privileged traditional usage and current scientific research. Medicinal plants are coming into eminence because of the overuse of conventional drugs such as antibiotics which has resulted in the development of resistance in several infectious organisms. Thus, herbal medicines can be more effective than conventional medicines and they can be administered over longer period of time because of its non-toxic nature 4, 5. Several plant products and natural products 6, which are composed of active principles, such as flavonoids 7, triterpenoids and alkaloids 8 have been reported which stimulate the process of wound healing. Ziziphus xylopyrus (Retz) Willd (F. Rhamnaceae) is commonly known as Jujab in English 9. It is a large trailing shrub or a small tree, fortified with spines, up to 4 m in height. Fruits are globose, 3 celled (rarely 2 or 4-celled), with usually a seed in each cell, very hard and woody. It is found in India, Pakistan and China 10. As per the ethno medicinal information, different parts of this plant possess several therapeutic properties. The fruit powder with apinch of ginger powder, thrice in a day is beneficial for indigestion and stomach ache 11. It also possesses anthelmintic 12, antimicrobial 13, antidepressant 14, analgesic and anti-inflammatory activities 15. The leaves contain quercetin and quercetin. The fruits contain tannins, oleanolic acid, l-epicatechin, l-leucocyanidin and 3, 3, 4-tri-O-methyl-ellagic acid. The bark contains tannins, d-7, 3’, 4’-trihydroxy flavan-3, 4-diol and oleanolic acid. The stem wood of the plant is reported to contain alkaloids (xylopyrine-A and B), triterpenoids and flavonoids 15. Though, in spite of various bioactive phytoconstituents and various medicinal activities attributed to this plant, no research has been carried out to shed light on the role of this plant in wound healing. In the light of the above, the current study was undertaken to investigate the wound healing activity and its effects on percentage of wound contraction, epithelialisation period and tensile strength in incision and excision wound model. Plant material: Ziziphus xylopyrus (Retz) Willd leaves were identified and collected from National Botanical Research Institute, Lucknow, Uttar Pradesh and were authenticated at The Maharani Lal Kunwari P.G. College, Balrampur, India (Ref. No: MLKPG/2013/125). The leaves were washed, shade dried, pulverized into moderately coarse powder, passed through a 40 mesh sieve and stored in an air tight container for further use. Extraction: The powder was loaded into soxhlet apparatus and was subjected to extraction with chloroform. The extraction was continued till the defatting had taken place. The marc obtained was subjected to methanol extraction in soxhlet extractor. The extraction was continued for 6-7 days to achieve complete extraction. The methanolic extract was concentrated to dryness using rotary evaporator to get the crude extract. The crude extract were stored in airtight containers and kept refrigerated (2-8°C) until further analysis. Preliminary phytochemical studies: Phytochemical screening was carried out to identify the presence of flavonoids, triterpenoids, alkaloids, glycosides, steroids, gums and mucilage, proteins, amino acids and tannins in MEZX 16. Preparation of formulation and standard used: Simple ointment was prepared from 5% w/w and 10% w/w MEZX by trituration method in a ceramic pestle and mortar using White soft paraffin obtained from S.D. Fine Chem Ltd. (Mumbai, India) 17. About 5 g and 10 g of crude extract were incorporated into the 95 g and 90 g of simple ointment base B.P. respectively. Simple ointment base was used as the control group and was applied twice per day. MEZX ointment was used twice per day to treat different groups of animals. Nitrofurazone (0.2% w/w) obtained from Rexin Pharmaceutical Pvt. Ltd. (Delhi, India) was used as standard drug for comparing the wound healing activity of MEZX in different animal models and was applied twice per day. Animals: The experiments were carried out with wistar albino rats weighing 200-250g obtained from the Laboratory Animal Services Division of Central Drug Research Institute, Lucknow, India. Research on experimental animals was conducted in accordance with the internationally accepted principles for laboratory animal use and care (1087/07/ CPCSEA). They were kept in polypropylene cages (22.5 x 37.5 cm) and were maintained under standard housing conditions (room temperature, 24-27°C and humidity, 60-65 %) with a 12-h light and dark cycle. They were allowed free access to standard pellet diet and water, ad libitium. The experimental protocols were approved by the Institutional Animal Ethics Committee, which follow the guidelines of the Committee for the Purpose of Control and Supervision of Experiments on Animals (CPCSEA) and conform to the international norms of the Indian National Science Academy. Ethical norms were strictly followed during all experimental procedures. [Hygia/M.Pharm/28/2012-13].The rats were anesthetized prior to and during infliction of the experimental wounds. The surgical interventions were carried out under sterile conditions using ketamine anaesthesia (100 mg/kg b.w., i.p.). Animals were closely observed for any infection and those which showed signs of infection were separated and excluded from the study and were substituted. Excision wound model: Animals were anesthetized prior to and during making of the wounds. A full thickness excision wound was created for this study according to Morton and Malone. All the animals were shaved on the part to be exposed and ethanol (70%) was applied as antiseptic on shaved region. A round circular seal of 400 mm2 diameter was impressed on the dorsal thoracic central region 5 cm away from the ears of anaesthetized rats. Full thickness skin from demarked area was excised to get a wound of approximate 400 mm2. After achieving the full homeostasis wound was blotted with cotton swab soaked in warm saline and animals were placed in their individual cages. The wound was left untreated to the open environment and no local or systemic antibacterial agents were applied. The simple ointment, MEZX and standard were administered topically as per the protocol 18. All the cages were cleaned on alternative days and the bedding material was changed daily. All the animals were inspected daily and healing was assessed based on physical parameters namely wound contraction and complete epithelialisation period 19. The animals were divided into four groups of six rats each. Group I was assigned as control (ointment base). Group II and III were treated with 5% w/w and 10% w/w MEZX ointment respectively. Group IV was treated with standard nitrofurazone ointment (0.2% w/w) once daily from 0 to 21 post wound days or till complete healing, whichever earlier. The wound contraction was assessed by tracing the wound on days 0, 2, 4, 6, 8, 10, 12, 14, 16, 18, and 20 post wounding days or till complete wound healing, whichever occur earlier using transparency sheets and a permanent marker. These wound tracings were retraced on 1 mm2 graph paper to assess area and then wound contraction was calculated as percentage of original wound size (400 mm2) for each animal in all the groups. Changes in wound area were also calculated to indicate the rate of contraction. Day n is any specific day on which % wound contraction is calculated 20. Epithelialisation period: The period of epithelialisation was calculated as the number of days required for falling of the dead tissue fragments of the wound without any residual raw wound 19. Incision wound model: In incision wound model, 6 cm long paravertebral incision were made through the full thickness of the skin on either side of the vertebral column of the rats, after all the animals of each group were anesthetized under light ether anaesthesia 21. No systemic or local antimicrobial agents were applied throughout the experiment. All groups were treated same as in excision model, the both edges kept together and stitched with black silk surgical thread (no. 0000) and a curved needle (no. 9) was used for stitching. The continuous threads on both wound edges were tightened for good closure of the wound. After stitching, wound was left undressed then ointment base, MEZX ointment and standard ointment were applied daily until 10 days; when wounds were cured thoroughly the sutures were removed on the day 10 and tensile strength of cured wound skin was measured using tensiometer 22. The anesthetized animal was secured to the table, and a line was drawn on either side of the wound 3 mm away from the line. This line was gripped using forceps one at each end opposed to each other. One of the forceps was supported firmly, whereas the other was connected to a freely suspended light-weight metal plate. Weight was added slowly and the gradual increase in weight, pulling apart the wound edges. As the wound just opened up, addition of weight was stopped and the weights added was noted as a measure of breaking strength in grams. Three readings were recorded for a given incision wound. The average reading for the group was taken as an individual value of breaking strength. The average value gives the breaking strength for a given group 19. All values are reported as mean ± S.D. The results were analyzed statistically using one-way analysis of variance (ANOVA). All tests were conducted using Graph Pad Prism Software, Inc. (San Diego, CA). RESULTS: In excision wound study, the significant increase in the wound-healing activity was observed in the animals treated with MEZX compared with those who just received the ointment base (control group). Both 5% w/w and 10% w/w MEZX ointment treated animals showed a significant reduction (P <0.001) in the wound area (Table 1, Fig. 1) and epithelialisation period with compare to control group (Table 2). Values were expressed as mean ± S.D, (Figures in the parenthesis indicate % wound contraction). aP< 0.0001, a2P < 0.001, a3P < 0.01 when compared to control group. bP< 0.0001, b2P < 0.001, b3P < 0.01 when compared to standard group. TABLE 2: THE EFFECTS OF MEZX ON PERIOD OF EPITHELIALISATION IN EXCISION WOUND MODEL. Values were expressed as mean ± S.D. **P <0.01, ***P <0.001, a- indicates comparison with control and b- indicates comparison with standard group. FIG. 1: PHOTOGRAPHIC REPRESENTATION OF CONTRACTION RATE SHOWING PERCENT WOUND CONTRACTION AREA ON DIFFERENT POST EXCISION DAYS OF CONTROL, MEZX (5% W/W AND 10% W/W) AND STANDARD NITROFURAZONE OINTMENT (0.2% W/W) TREATED RATS. Table 3 depicts the wound-healing effect of 5% w/w and 10% w/w MEZX ointment in the incision wound model. In incision wound study, a significant increase (P < 0.001) in the wound-breaking strength was observed with the 10% w/w MEZX ointment when compared with the control group. Values were expressed as mean ± S.D. **P < 0.01, ***P < 0.001, a- indicates comparison with control and b- indicates comparison with standard group. DISCUSSION: Wound healing is a process by which an injured tissue gets re-established as closely as possible to its normal state and wound contraction is the progression of shrinkage of area of the wound. It mainly depends on the repairing capability of the tissue, type and extent of injury and general state of the health of the tissue. The granulation tissue of the wound is primarily constituted of collagen, fibroblast, edema and small new blood vessels. The homogeneous mesenchymal cells of the wound margin modulate themselves into fibroblast, which start wandering into the wound gap along with the fibrin strands. The collagen composed of amino acid (hydroxyproline), which is the chief component of extra cellular tissue, which gives support and strength 23. Preliminary phytochemical screening exposed that MEZX showed positive response to flavonoids, triterpenoids, alkaloids, gums and mucilage, amino acids, tannins, glycosides and steroids. Flavonoids are known to reduce lipid peroxidation not only by preventing or slowing the onset of cell necrosis but also by improving vascularity. Hence, any drug that inhibits lipid peroxidation is believed to increase the viability of collagen fibrils by increasing the strength of collagen fibres, increasing the circulation, preventing the cell damage and by promoting the DNA synthesis 24. Flavonoids 25, triterpenoids 26 are also known to promote the wound-healing process mainly due to their astringent and antimicrobial property, which seems to be responsible for wound contraction and increased rate of epithelialisation. CONCLUSION: In summary, this study highlights the potential wound healing activity of Ziziphus xylopyrus (Retz) Willd leaves. Hence, the wound healing activity of Ziziphus xylopyrus (Retz) Willd leaves may be attributed to the phytoconstituents present in it, which may be either due to their individual or the synergistic effect that fastens the process of wound healing. Further phytochemical studies are needed to isolate the active constituent(s) responsible wound healing activity. ACKNOWLEDGEMENTS: The authors are thankful to Hygia Institute of Pharmaceutical Education and Research, Lucknow, India for providing necessary facilities to carry out this research. Authors would also like to thank National Botanical Research Institute, Lucknow, India for plant collection, The Maharani Lal Kunwari P.G. College, Balrampur, India for plant authentication and Central Drug Research Institute, Lucknow, India for providing animals. DECLARATION OF INTEREST: The authors declare that there is no conflict of interest. The authors alone are responsible for the content of the paper. Biswas TK and Mukherjee B: Plant medicines of Indian origin for wound healing activity: A review. International Journal of Lower Extremity Wounds 2003; 2(1):25-39. Evans P: The healing process at the cellular level. Physiotherapy 1983; 20:256-9. Jawaid T, Kamal M and Mallik T: Wound healing potential of methanolic extract of Calophyllum inophyllum bark. Bulletin Journal of Environment, Pharmacology and Life Sciences 2016; 4(5):27-32. Vinothapooshan G and Sundar K: Wound healing effect of various extracts of Adhatoda vasica. 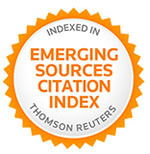 International Journal of Pharma and Bio Sciences 2010; 1: 530-6. Farahpour MR and Habibi M: Evaluation of the wound healing activity of an ethanolic extract of Ceylon cinnamon in mice. Veterinarni Medicina 2012; 57(1):53-7. Suguna L, Chandrakasan G and Joseph KT: Influence of honey on biochemical and biophysical parameters of wounds in rats. Journal of Clinical Biochemistry and Nutrition 1999; 14:91-9. Sharma SP, Aithal KS, Srinivasn KK, Udupa AL, Kumar V and Kulkarni DR: Anti-inflammatory and wound healing activities of the crude alcoholic extracts and flavonoids of Vitex leucoxylon. Fitoterapia 1990; 61:263-5. Chitra P, Suguna L and Chandrakasan G: Influence of arginine wound healing in rats. Journal of Clinical Biochemistry and Nutrition 1995; 18:111-7. Part-1. Vol. 5. Delhi: Govt of India, Department of ISM and H, Published by the Controller of Publications; Department of AYUSH. Ayurvedic Pharmacopoeia of India. 2006; p: 47. X-Z. Vol. 11. New Delhi: NISCAIR, CSIR; Anonymous. The Wealth of India: Raw Materials Series; 1976; pp: 123-4. Sudhakar Reddy C, Reddy KN, Murthy EN and Raju VS: Traditional medicinal plants in Seshachalam hills, Andhra Pradesh, India. Journal of Medicinal Plants Research 2009; 3(5): 408-12. Mishra US, Mishra AM, Murthy PN, Bal T and Jena B: Screening of chloroform extract of Bark of Ziziphus xylopyrus Wild for Anthelmintic activity. 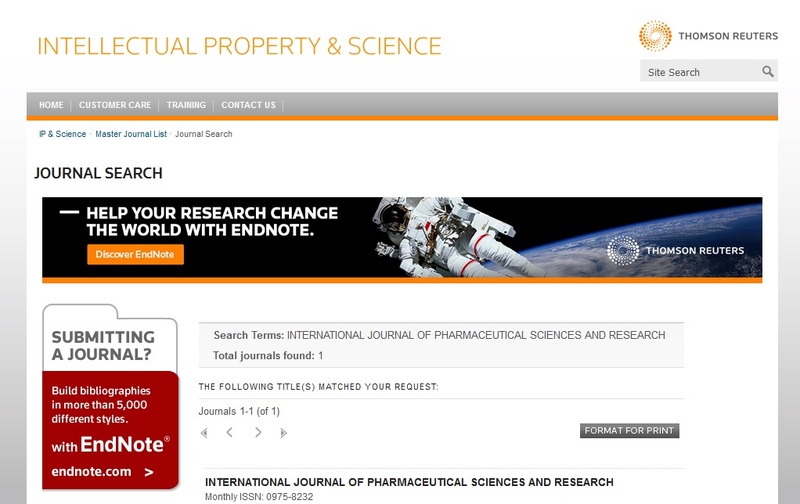 International Journal of Pharma and Bio Sciences 2008; 2(2): 103-6. Pullaiah T: Ziziphur xylopyrus (Retz.) Willd. Encyclopedia of world medicinal plants, 2006; 5: 2104. Vimal KS, Nagendra SC, Santram L and Singhai AK: Anti-Depressant activity of Ziziphus xylopyrus. International Journal of Phytomedicine 2009; 1:12-7. Mishra US, Murty PN and Parida SK: Analgesic and anti-inflammatory activities of Indian medicinal plant Ziziphus xylopyrus stem barks in experimental animal models. Elixir Pharmacy 2012; 44:7265-70. Kokate CK, Purohit AP and Gokhale SB: Text book of Pharmacognosy.26th Pune: Nirali Prakashan. 2006; 593-7. Carter SL: 12th ed. Delhi: CBS Publisher and Distributors; Cooper. Gunn's Dispensing for pharmaceutical students.1987; 199-200. Morton JJ and Malone MH: Evaluation of vulnerary activity by an open wound procedure in rats. Archives internationales de pharmacodynamie et de therapie 1972; 196:117-26. Srikanth D, Shenoy RR and Rao CM: The effect of topical (gel) astimizol and terfenadine on wound healing. Indian Journal of Pharmacology 2008; 40(4):170-4. Lee KH and Tong TG: Mechanism of action of retinyl compound on wound healing II and effect of active retynyl derivative on granulation formation. Journal of Pharmaceutical Sciences 1970; 59:1195-7. Ehrlich HP and Hunt TK: The effect of cortisone and anabolic steroids on the tensile strength of healing wounds. Annals of Surgery 1968;57:117-20. Pawar RS, Chaurasiya PK, Rajak H, Singour PK, Toppo FA and Jain A: Wound healing activity of Sida cordifolia Linn. in rats. Indian Journal of Pharmacology 2013; 45(5): 474-8. Nayak S, Nalabothu P, Sandiford S, Bhogadi V and Adogwa A: Evaluation of wound healing activity of Allamanda cathartica and Laurus nobilis L. extracts on rats. BMC Complementary and Alternative Medicine 2006; 6(1):1-6. Getie M, Gebre Mariam T, Reitz R and Neubert RH: Evaluation of the release profiles of flavonoids from topical formulations of the crude extract of the leaves of Dodonea viscosa(Sapindaceae). Pharmazie 2002; 57: 320-2. Tsuchiya H, Sato M, Miyazaki T, Fujiwara S, Tanigaki S, Ohyama M, Tanaka T and Iinuma M: Comparative study on the antibacterial activity of phytochemical flavanones against methicillin-resistant Staphylococcus aureus. Journal of Ethnopharmacology 1996; 50: 27-34. Scortichini M and Pia Rossi M: Preliminaryin vitro evaluation of the antimicrobial activity of terpenes and terpenoids towards Erwinia amylovora (Burrill). The Journal of Applied Bacteriology 1991; 71: 109-12. Jawaid T, Kamal M, Kumari A and Singh K: Evaluation of wound healing activity of Ziziphus xylopyrus (retz) willd leaves extract in wistar albino rats. Int J Pharm Sci Res 2017; 8(3): 1287-93.doi: 10.13040/IJPSR.0975-8232.8(3).1287-93. Authors Address: Department of Pharmacology, Hygia Institute of Pharmaceutical Education and Research, Ghaila Road, Lucknow, Uttar Pradesh, India.